Sure, there are plenty of places you could go to feel like you’ve stepped into the Wizarding World; there are theme parks, attractions and hotels that have been created for that express purpose. But if you’re looking for something a bit more subtle, without all of the tourist traps and in-your-face branding, we’ve found four lovely lodgings that have a lot in common with the Hogwarts house common rooms. See what we did there? The Hufflepuff common room is warm, cheerful and cozy, complemented by honey-colored wooden furniture, plant-filled shelves, a fireplace, and passages that lead to dormitories where beds are covered in patchwork quilts. It’s the ultimate homey hideaway. 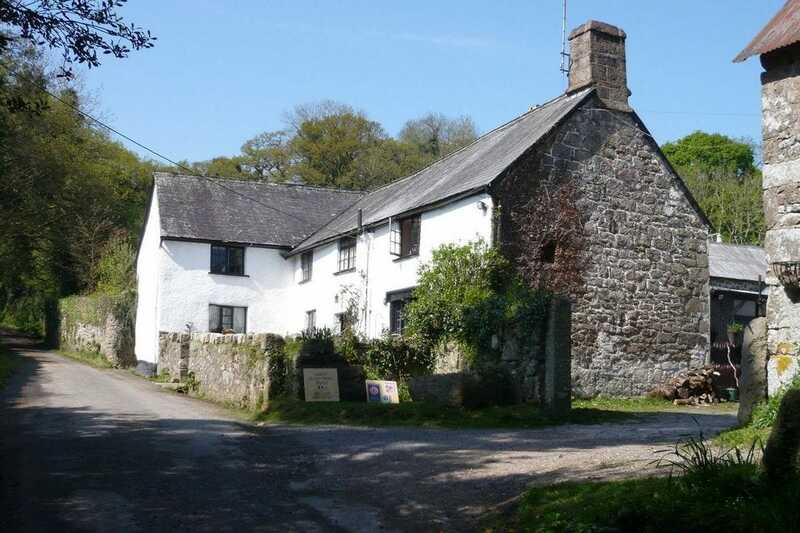 So, any Hufflepuff should feel comfortable at Great Sloncombe Farm, a B&B in Moretonhampstead, England. This 13th-century, four-star farmhouse offers a quaint three bedrooms complete with beds covered in…you guessed it, patchwork quilts. Pine furniture creates a warm atmosphere, and the onsite garden and greenhouse would be sure to please Professor Sprout. At the end of a long, satisfying day exploring the English countryside, cuddle up by the inglenook fireplace. Located under the Great Lake, the Slytherin common room is a stone room located in the dungeons of Hogwarts. Several shades of green lighting accent the underwater dwelling. It seems fitting then that any Slytherin might enjoy a stay in the “World’s Deepest Suite” at Sala Silvermine. Located 155 meters underground in Sweden, this is a one-of-a-kind accommodation. One third of the mine is flooded and lit in shades of eerie green. Don’t worry, that’s not where you’ll be sleeping! With room for only two, you’ll spend the night in a stone cave, lavishly decorated for a comfy stay. The Ravenclaw common room is an airy space, filled with bookcases and crowned by a star-painted, domed ceiling. With calming mountain views in the distance, it’s the perfect spot for reading and contemplating. 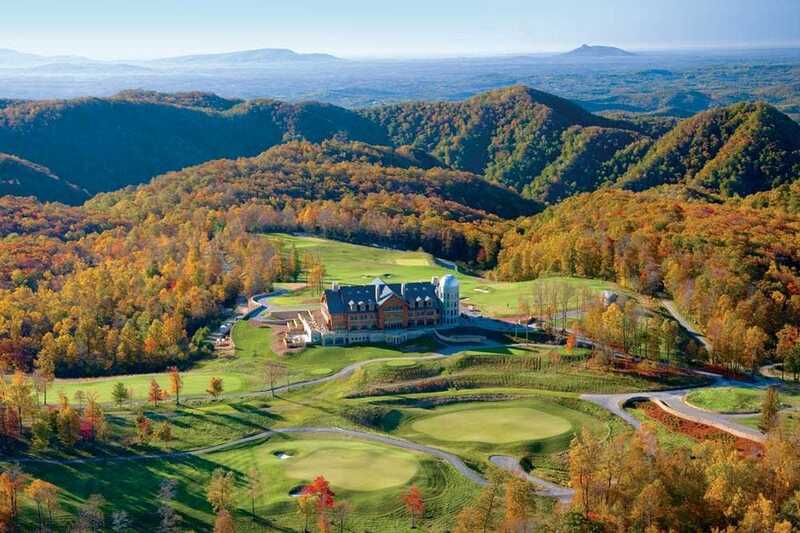 Enter Primland, a luxury resort nestled in the Blue Ridge Mountains of Virginia. Offering plenty of wide open spaces, sumptuous accommodations and activities galore, any Ravenclaw should find great pleasure in spending time here. The pièce de résistance? The resort has its very own observatory – a real star-studded ceiling. Located at the top of Gryffindor Tower, the house common room is decorated in a warm red with richly woven tapestries adorning the walls. A generously-sized fireplace completes the space which is characterized as inviting. A tower stay that’s so warm and inviting is a tall order, but look no further than Thornbury Castle in Thornbury, England. This 16th-century Tudor castle once belonged to King Henry VIII and Anne Boleyn (no, we’re not going to make any Nearly-Headless Nick jokes). 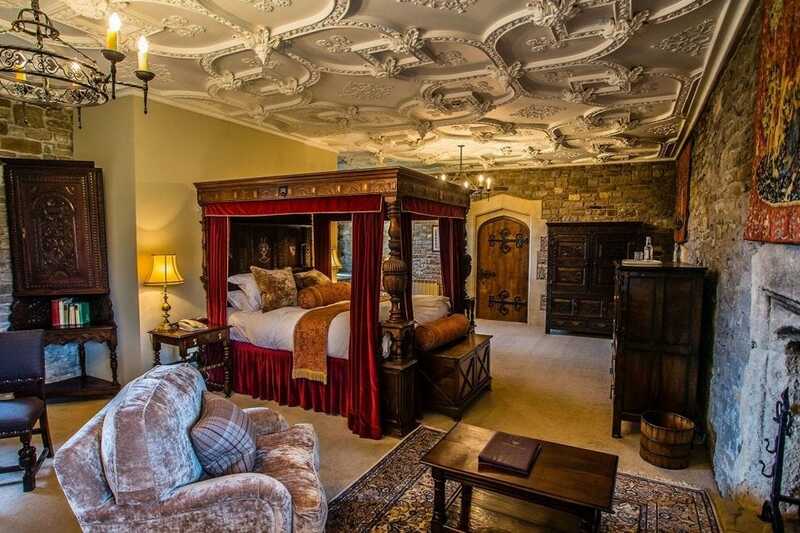 With a plethora of rooms to choose from like the Deluxe Bedchamber, accented with red carpet and a large tapestry, or the Tower Suite, located at the top of a stone spiral staircase, any Gryffindor should feel right at home.